Sprint's wireless network is used by prepaid carriers like Sprint Boost Mobile and Virgin Mobile, but now the company is preparing to enter the prepaid arena on its own, according to company documents leaked to Android Police. 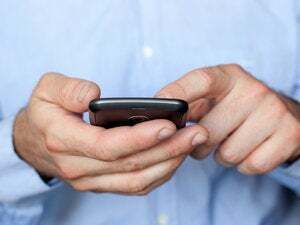 The service, slated for launch on January 25, will cost $70 a month for unlimited voice, text and Web, and includes two smartphone models that will be offered at unsubsidized prices, according to the leaked documents. Smartphones in the plan will be the LG Optimus Elite ($150) and Samsung Victory ($250). 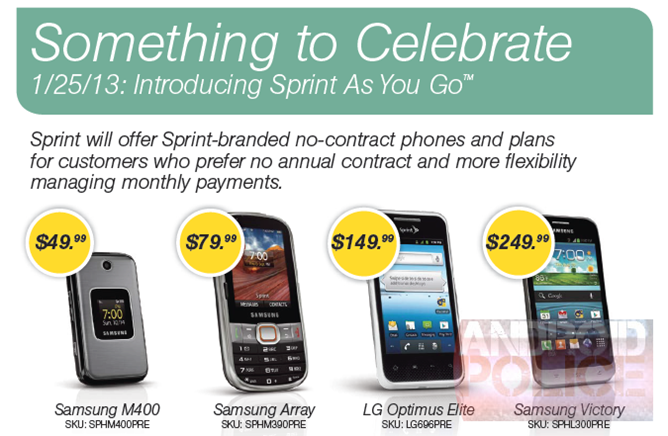 Other Sprint smartphones, like the Galaxy S III and Evo 4G LTE, aren't eligible for the plan. EVDO roaming is not included in the plan and Android Police noted that the leaked materials suggest that using data on a non-EVDO network may be charged against a subscriber's monthly credit. Another drawback to Sprint’s pay-as-you-go service is it doesn't support LTE, although the Samsung Victory supports that technology. Prepaid providers using Sprint's network don't have any LTE offerings either, but there have been rumblings that they'll have access to LTE this quarter, so it's possible Sprint may roll out LTE support for its prepaid service at that time. In addition to the smartphone plans, Sprint will offer a "feature phone" plan for $50 a month. Phones in that plan are the Samsung M400 ($50) and Samsung Array ($80). By entering the prepaid market, Sprint will be competing with service providers using its network for their offerings. Although those providers offer lower-priced plans, it appears that Sprint hopes to separate its prepaid service from those providers with its more generous data usage terms. Sprint's prepaid plan claims to offer unlimited data – although there are restrictions on data usage while roaming. Plans by such providers as Boost and Virgin throttle data speeds when monthly thresholds on usage are reached. While Sprint's apparent decision to enter the prepaid market risks alienating its prepaid partners, the company may feel that the move is necessary to counter the merger of T-Mobile and MetroPCS. That merger is expected to create a formidable competitor in the market for Sprint's prepaid business.